Last week we took a look at some of the things on the outside of the house to inspect when doing a walk-through of a potential investment property. This week we’re moving inside. What are the signs of real trouble, and, what kinds of things look bad but are actually fairly easily and cheaply fixed? As I mentioned last week, the key is to be systematic. Use a checklist (if you didn't download it last week, here is a link to a checklist to use). Take lots of notes. The more detail you get, the better you will be able to decide whether the property is worth your time and money. If you are planning to flip the property, it is important to have an idea what other comparable properties look like. How new are the kitchens? Are the appliances stainless steel? Do the comparable properties have ensuite bathrooms or walk-in closets? How fancy are the bathrooms? The better your idea of what is out there, the better you can judge what needs to be done. Try to see a few other properties before you do your walk through. This is an area where it is very important to have a clear idea about your intended use for the property. A rental kitchen has very different standards than a kitchen in a house you plan to flip. For a rental, you want to spend as little as possible to make the kitchen liveable. For a flip, you need to spend as much as needed to bring the kitchen up to the standards of other comparable properties in the area. A kitchen renovation has the potential to give you a big bang for your buck but doing more, or less, than necessary will cost you. First check the size and layout of the kitchen. A small and claustrophobic kitchen may be fine in a rental unit but if it’s in a flip house, more major renovations may be necessary. You need to include these in your calculations. Is there a wall that can be removed to create a more open and inviting space? Could the appliances be reconfigured to make the kitchen more user friendly? Opening up the kitchen and living space to create a “great” room can add significant value to the property. If it can be done cost effectively. Next, look at the cabinets. How old are they? Can they be upgraded inexpensively, or do they need to be replaced? Could you get away with just replacing the doors? Don’t forget about the countertop. What’s it made of? Replace or repair needed? How about the appliances? Do they work? If they need to be replaced, would used appliances be ok? Have a good look at the plumbing. Any sign of leaks? Are the faucets and sinks dated or damaged? Finally, look down. What condition is the flooring in? Is it tile, linoleum, or hard wood? Can it be refinished? Is it discolored? Again, it is your ultimate goal for the property that will determine whether minor or major repairs are needed. Along with the kitchen, the bathrooms are the other part of the house where a good idea of what other comparable properties are like is critical. Cabinetry, fixtures and appliances catch people’s eyes and “fit and finish” in these areas is the difference between “wow” and “ugh”. If the comparable properties are “wow”, you can’t afford to be “ugh”. First, are the bathrooms functional? Are there signs of leaks around the sinks, tubs or showers? If so, be cautious, long-term leaks can lead to hidden damage inside the walls or under the floor and could even lead to mold. Check the drywall carefully for soft spots or discolouration. If the floor feels at all spongy it will need to come out and a new subfloor will be needed. Also remember, if the toilet and tub are baby blue, they will need to be replaced if you want to change their colour. For a rental unit, sometimes all that’s needed is a fresh coat of paint and better lighting. If you’re flipping the property, a new, modern vanity and some upgraded hardware is an inexpensive way to bring a dated bathroom up to date. Again, check comparable properties to be sure you are not spending more or less than necessary. Functionally, not much goes on in the bedrooms (at least from an investors perspective). There isn’t usually much in the way of cabinetry other than closet doors, unless there is an ensuite. Check that the hardware works and think carefully about the size of the closets. There are two trends you need to be aware of. First, master bedrooms are getting bigger and a small master will deter many buyers. For a flip, it MAY pay to think about knocking out a wall and sacrificing a small bedroom to make the master more inviting. Second, closets are also getting bigger. Make sure there is sufficient closet space or potential buyers will be walking away. For a rental unit, the NUMBER of bedrooms is critical. It is the number of bedrooms that will determine what you can charge for rent. A three-bedroom home with the same square footage of a two-bedroom will typically rent for more. Make a note of the type of flooring in each room and its condition. Hardwood can be refinished but discoloured linoleum and threadbare carpet will need to be replaced. In general, the combination that shows best is carpet in the bedrooms, tile in the bathrooms and hardwood throughout the rest. If the house is small, keeping the flooring the same everywhere can make it seem bigger. Check all the ceilings for signs of water damage from a leaky roof. If it is a stippled ceiling, repairing a small section can be difficult. Sometimes it is easier to just re-finish the entire thing. Don’t forget to have a look in the attic space. Check to be sure the insulation is evenly distributed and that there is enough air flow. Also check for leaks around chimneys and other roof penetrations, especially if you have found a water stain on a ceiling. Finally, make sure no uninvited guests (bats, mice, racoons) have been using it as a home. This is an area that can turn your cash cow into a money pit. Leaking, cracked, or shifted foundations can be very expensive to fix. Inspect all the exterior walls from the inside for signs of any damage or leakage. 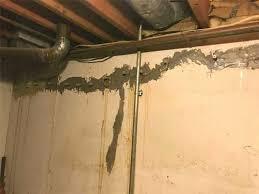 Signs of moisture that should be a concern are mold (obviously), a mildewy smell, or water marks on the exterior walls. In a finished basement, peeling paint or discolouration, spongy carpet or swollen baseboards are typical of basements prone to moisture problems. First, make sure everything works! Run all the mechanical and electrical components through their paces. Does the furnace fire up and does the blower kick in? Does the AC work? Is the water hot? Do all the outlets have power? Now check the age and condition of the furnace. Look at the furnace filter. An excessively dirty filter may mean the furnace hasn’t been properly maintained. You might as well budget for getting the duct work blown out. Look at the water heater. Are there any signs of swelling or rust? If so, it will need to be replaced. Is it gas or electric? How old is it? If a new water heater is needed, it may be possible to rent one, saving the up-front cost of purchase. Have a look at the electrical panel. Is there enough power to service a modern home (200 amps minimum)? What is the condition and age of the wiring? Older wiring doesn’t necessarily need to be replaced but you want to know what you’re dealing with moving forward. Now it’s time to take all your notes, pictures and checklists and start figuring out how much this is going to cost and whether it’s worth pursuing. First, whatever you plan to do with the property, you MUST deal with any structural or mechanical problems. All the leaks have to be fixed, the doors and windows have to close and lock, the electrical, plumbing and heating systems have to work, etc. This is the MINIMUM that will need to be done. This is trickier because you need to know what other properties in your target price range are like. Go to open houses and pay attention! If comparable properties have tile floors in their bathrooms and fancy cabinets in the kitchen, you will need to budget for that. On the other hand, if the comparables are more basic, you don’t want to spend money unnecessarily. Unless you are planning on pushing the market, it usually doesn’t pay to try to “out-do” the competition. If you push the price up too much with lots of upgrades, you may have a harder time selling the property. Don’t forget, the old advice still stands. Kitchen and bathroom upgrades still give a bigger bang for the buck. Budget your money in those areas first, and plan on a new interior paint job to maximize your return. Outside, curb appeal is paramount. First impressions count. Plant some flowers, paint the porch, fix the walk. Spend your budget on the FRONT of the house first then worry about the back yard. Just make sure everything is neat, clean, and green. The math is pretty straight forward. If you can put $10,000 in and get $20,000 out, it’s probably worth doing. If it’s going to cost $10,000 and you’re only getting $10,000 out, it’s not worth the effort. Of course, the trick isn’t the adding, it’s the estimating. The better you are at estimating the cost of your upgrades, the more likely you are to make a profit. Here is a downloadable list of what you can expect to pay for materials and labour for most upgrades. Bear in mind that these are Canadian prices from Ontario. Use them as a guide but get estimates and local prices before you pull the trigger. The other half of the equation is what you can sell the property for. Talk to realtors, go to open houses, look at comparable prices and get to know the market. Knowledge is power. Your biggest risk is your lack of accurate information. Take your checklist with you so you can systematically compare properties to get a better idea what yours is worth. Finally, look at SELLING prices, not asking prices. You do want to sell the house, don’t you? The 4 Most Important Things! Be clear on what you want to do with the property. Get accurate, current pricing on upgrades and repairs – DON’T GUESS! Get accurate, current selling prices for comparable properties – DON’T GUESS!